OEM Ammunition Manufacturers | Ammo & Bullet Mfg. Inc.
Arms dealers who want to create their own line of ammo have two options. They can either produce it themselves or hire OEM ammunition manufacturers to do it for them. Hiring OEM ammunition manufacturers seems to be the more practical choice. Read on to find out why. What Are OEM Ammunition Manufacturers? OEM ammunition manufacturers are companies that produce bullets and ammo that may be marketed by entrepreneurs as their own. Working with OEM ammunition manufacturers allows arms dealers to expand their businesses without creating their own ammo production factories. Why Should You Work With OEM Ammunition Manufacturers? Compared to producing your own products, hiring OEM ammunition manufacturers saves you a lot of time, effort, and money. Running your own factory to produce ammunition can really spike your business’ overhead. You have to invest in equipment and train factory workers and ammo specialists so they can produce high-grade bullets. On the other hand, working with OEM ammunition manufacturers gives you the freedom to just focus on growing your business. You can also allocate the money you will save to other aspects of your operation. If you’re looking for reliable OEM ammunition manufacturers to produce high-grade bullets for you, turn to Ammo and Bullet. We take pride in the quality of our workmanship, and our global clients are proof that we are one of the best OEM ammunition manufacturers in the country. The main struggle most ammo retailers face is looking for OEM ammunition manufacturers that produce top-notch bullets. You work hard to build a good relationship with your clients. Any mishap on the part of your chosen OEM ammunition manufacturers can spell disaster for you and your business— even a single cartridge with a factory defect can harm your name. The best OEM ammunition manufacturers aren’t your local dealers who sell only to nearby communities. You’ll know that you’re doing business with one of the best OEM ammunition manufacturers when its bullets are shipped worldwide—and that’s Ammo and Bullet! Choosing us means, you will be retailing the same high-quality bullets patronized by clients across the globe. As OEM ammunition manufacturers, we go the extra mile to meet our clients’ different needs. We give you the freedom to customize the ammo you order from us. If you’re looking for OEM ammunition manufacturers who can produce lead-free bullets, hollow-points, or even environmentally friendly ammo, then call Ammo and Bullet. If you have other requests, just tell us! We’ll make sure that the bullets we produce represent you and your brand perfectly. What truly sets us apart from other OEM ammunition manufacturers is our attention to detail. We employ a multiple-step program where we check every cartridge we produce. Our bullets are laser scanned twice to measure each cartridge’s powder levels. We also use optical micrometers to ensure that the cartridges’ length and bullet seating are satisfactory along with inline case gauge. Random samples from every batch are assessed to further ensure quality. Before sealing and shipping the goods, our packaging specialists make final rounds of inspection. Are you looking for dependable OEM ammunition manufacturers in the country? Then look no further than Ammo and Bullet. 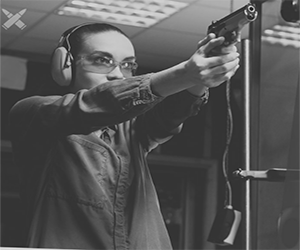 Aside from being reliable OEM ammunition manufacturers to businesses, we are also trusted bullet suppliers to law enforcers and the military. If you want to build a solid line of ammo, forget the other OEM ammunition manufacturers! Shoot us an email today, and discover how we can help your brand grow. To learn more about shell shock technologies, click here: https://www.ammoland.com/2016/05/first-new-technology-ammunition-cases-decades-shell-shock-technologies-llc/#axzz5Qi5t6Ibi. After the automated check, our ammunition is packaged. Technicians will examine possible defects before shipping our products. Our company also performs tests on random samples and checks component dimensions prior to loading. For our manual checks, we examine powder level, bullet seating depth, primer depth, and overall length, among others. Learn more about our quality checks here.